We learn [here] how thoroughly the heart of Christ was set on finishing the work which He came into the world to do. He says, “I have a baptism to be baptized with” – a baptism of suffering, of wounds, of agony, of blood, and of death. Yet none of these things moved Him. He adds, “How great is my distress until it is accomplished!” The prospect of coming trouble did not deter Him for a moment. He was ready and willing to endure all things in order to provide eternal redemption for His people. Zeal for the cause He had taken in hand was like a burning fire within Him. To advance His Father’s glory, to open the door of life to a lost world, to provide a fountain for all sin and uncleanness by the sacrifice of Himself, were continually the uppermost thoughts of His mind. He was pressed in spirit until this mighty work was finished. Forever let us bear in mind that all Christ’s sufferings on our behalf were endured willingly, voluntarily, and of His own free choice. They were not submitted to patiently merely because He could not avoid them. They were not borne without a murmur merely because He could not escape them. He lived a humble life for thirty-three years merely because He loved to do so. He died a death of agony with a willing and a ready mind. Both in life and death He was carrying out the eternal counsel whereby God was to be glorified and sinners were to be saved. He carried it out with all His heart, mighty as the struggle was which it entailed upon His flesh and blood. He delighted to do God’s will. He was straitened until it was accomplished. Let us not doubt that the heart of Christ in heaven is the same that it was when He was upon earth. 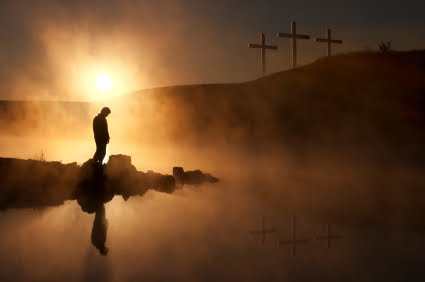 He feels as deep an interest now about the salvation of sinners as He did formerly about dying in their stead. Jesus never changes. He is the same yesterday, and today, and forever. There is in Him an infinite willingness to receive, pardon, justify, and deliver the souls of men from hell. Let us strive to realize that willingness, and learn to believe it without doubting, and repose on it without fear. It is a certain fact, if men would only believe it, that Christ is far more willing to save us than we are to be saved. Let the zeal of our Lord and Master be an example to all His people. Let the recollection of His burning readiness to die for us be like a glowing coal in our memories, and constrain us to live to Him, and not to ourselves. Surely the thought of it should waken our sleeping hearts, and warm our cold affections, and make us anxious to redeem the time, and do something for His praise. A zealous Savior ought to have zealous disciples.